Mega Sale! 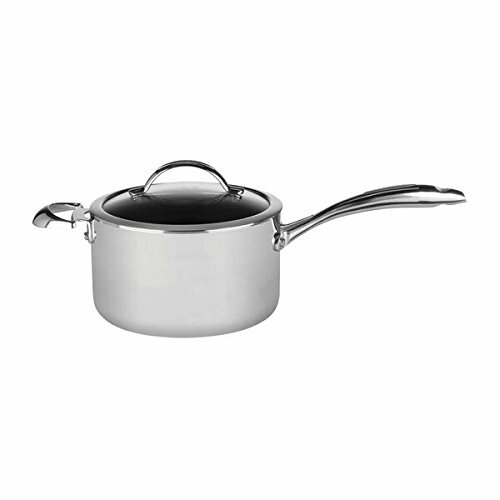 Save 30% on the SCANPAN CTP Covered Sauce Pan, 4 Quart by Scanpan at The Malaysian Mirror. MPN: 56232000. Hurry! Limited time offer. Offer valid only while supplies last. Enjoy this beautiful new polished mirror finish cookware with its patented non-stick coating which allows you to sear, Brown and deglaze with ease. Enjoy this beautiful new polished mirror finish cookware with its patented non-stick coating which allows you to sear, Brown and deglaze with ease. The aluminum body provides optimal heat distribution to ensure cooking performance is consistent. Glass lids are made of tempered glass. Scan pan manufacturers all of its cookware with 100% recyled aluminum reflecting its commitment to sustainability with out sacrificing performance. Patented non-stick coating sears, browns and deglazes with ease. More flavor, less effort. Aluminum body provides optimal heat distribution to ensure cooking performance is consistent. Oven safe up to 500 DegreeF. Made in Denmark with Lifetime warranty on non-stick surface and body. PFOA free. If you have any questions about this product by Scanpan, contact us by completing and submitting the form below. If you are looking for a specif part number, please include it with your message.